Upgrade your vehicle's lights with an 6K HID Kit today! 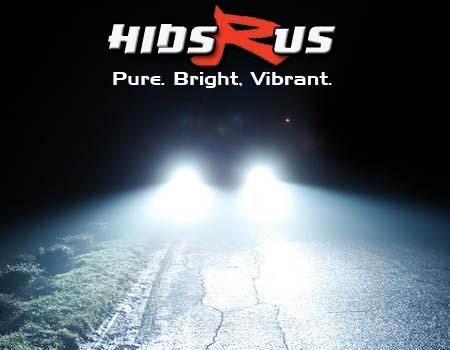 With HID technology, not only are you improving the look of your vehicle, but also the overall safety. 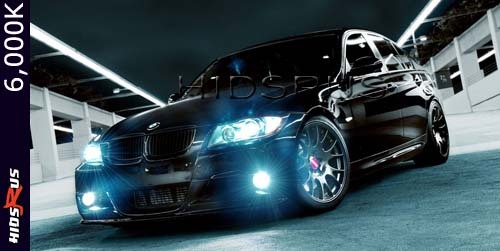 An 35W 6K HID bulb burns up to three times brighter than a standard halogen bulb, and an 55W 6K HID bulb burns up to five times brighter! Providing more luminosity and a wider array of light. 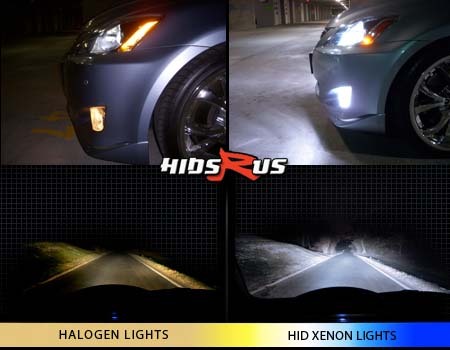 In addition, the lifetime of a HID Xenon bulb outlasts that of a halogen bulb up to 1000%, and requires less electricity to function. When it comes to your vehicle, the choice is clear. 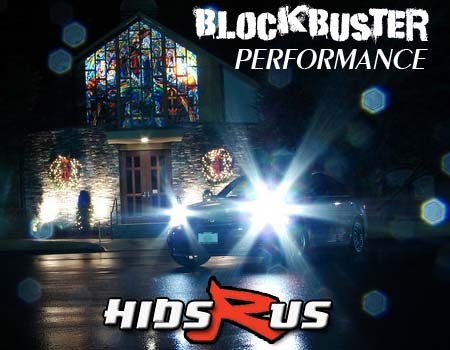 Headlight upgrades from HIDSRUS! 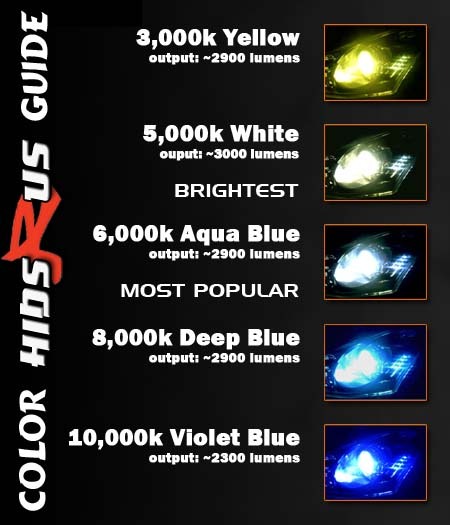 HIDsRUS has a multitude of colors available, designed to provide you with a unique look for your ride. Our kits have been tested in the harshest conditions, and have out performed the competition. You'll be getting genuine HID xenon bulbs, heavy duty HID ballasts, and all the necessary hardware included. Installation is a breeze, most installations average around 15-20 minutes. With every purchase you'll have access to tons of helpful resources and tools, including installation guides to help you every step of the way! 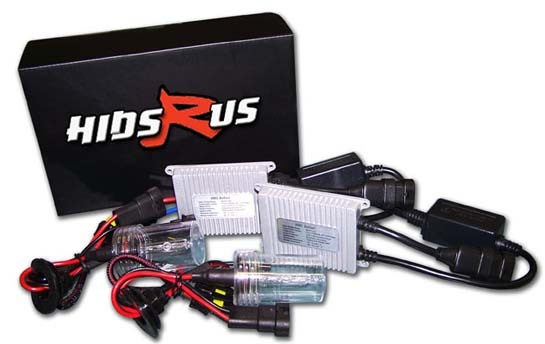 Each HIDsRUS HID Conversion Kit comes standard with 2 year warranty protection. You can also upgrade to a lifetime warranty, offering protection for your product for life. Customer satisfaction is our #1 goal, and we work hard to make sure you are provided with the best product, and the best service, and the lowest prices.